Redruth head coach Steve Larkins was delighted with his pack's dominance after the club's 28-24 win over Bishops Stortford in National Two South. 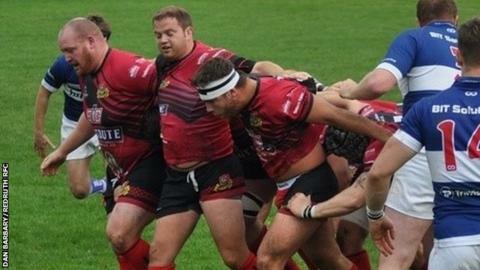 Victory was Redruth's second in three matches and stopped a run of three successive defeats. "Our front three were dominant beyond belief," Larkins told BBC Radio Cornwall. "If it was a boxing match it would have been stopped after about five scrums because they were absolutely flying." The result moves Redruth up to seventh in the National Two South table.